It is unsurprising that post Civil War the country entered a period of recessions. Prior to the Civil War the nation had known periods of booms and bust, both usually short-lived. The Civil War had been boom times in the North with war spending ensuring no recession during the War. With the turning off of the Federal money spigot in the wake of the War, and the return of men to civilian life, the country entered a period of recession that did not end until December 1869. The subsequent boom period was very short lived, with a new recession stretching from June 1869-December 1870. 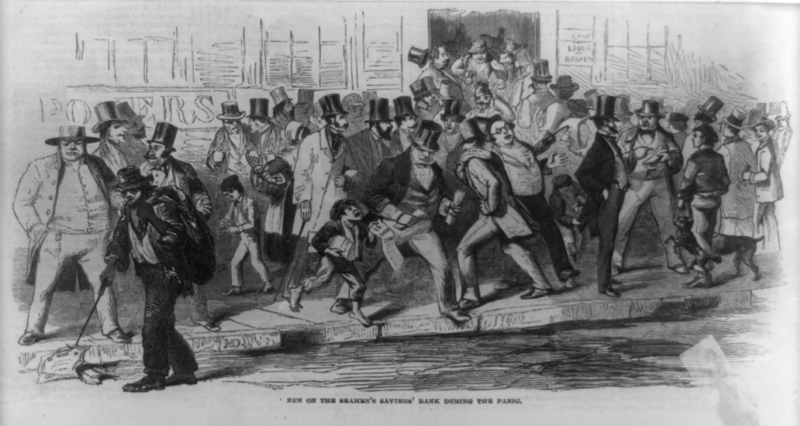 The Panic of 1873 led to the Long Depression of October 1873-March 1879. Ordered , That in all cases of sentences by military tribunals of imprisonment during the war the sentence be remitted and that the prisoners be discharged. The Adjutant-General will issue immediately the necessary instructions to carry. this order into effect. Memorial Day is a legacy of the Civil War. Approximately 640,000-750,000 American soldiers, sailors and marines, North and South, died in that war. Out of a population of some 30,000,000, the death toll would be the equivalent of the US today losing six to seven million dead in a war. It was a rare family that was untouched by this great national tragedy and the mourning for the lives cut short went on for decades. The May 30 Decoration Day events became a fixture of life in the Northern states. The states of the old Confederacy had similar events but on different dates, varying from state to state. The term Memorial Day was first used in 1882, but the name Decoration Day remained for the holiday until after World War II. As Civil War veterans aged and passed from the scene, the day was broadened to remember all of America’s war dead. The Uniform Monday Holiday Act in 1968 moved Memorial Day to the fourth Monday in May. As Lincoln noted in the Gettysburg address, it is “altogether fitting and proper” that we honor our war dead, but in what way can we honor them? The monuments we raise to them are really for us, to remind us of the value of valor and sacrifice. They do not walk among us to view them. They cannot tell us what they think of the speeches praising them or read the blog posts written about them. Their lives are done and they have been judged by God, as we all will be judged, and are now in Eternity. Other than the important task of praying for the repose of their souls, nothing that we say or do about them on Earth has any impact upon them. 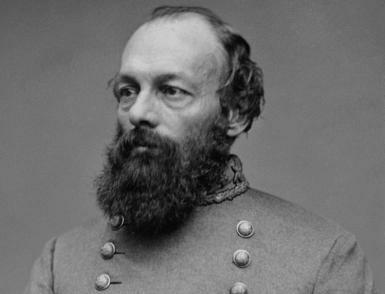 The day after the Army of the Potomac marched in final review through Washington, it was the turn of the 65,000 men of Sherman’s Army of Georgia. Sherman was afraid that his weathered Westerners would make a poor showing in comparison to the spit and polish Army of the Potomac. There had long been a keen rivalry between the Union troops in the East and the Union troops in the West. The troops in the West thought the Army of the Potomac got all of the publicity while the troops in the West were winning the War. The informal Westerners derided the Easterners as “paper collar” toy soldiers. The Army of the Potomac tended to look upon the Western troops as uncouth barbarians, more armed mobs than armies, and men who won victories against second rate Confederate troops and generals while they did battle with Robert E. Lee and his first team of the Army of Northern Virginia. Something for the weekend: Battle Hymn of the Republic. Doubtless many men who fought in the Civil War thought, and dreaded, that the War might go on forever. Now, however, it had ended with Union victory. Some European powers speculated that the United States would now use its vast armies to take foreign territory: perhaps French occupied Mexico, maybe settle old scores by taking Canada from Great Britain, Cuba, held by moribund Spain was certainly a tempting target. But no, the armies had been raised for the purpose of preserving the Union. Now the men in the ranks were eager to get home, and the nation was just as eager to enjoy peace. Recently I have been reading of the Grand Review of the Armies which occurred in Washington DC on May 23 and May 24, 1865. This was a victory parade of Grant’s Army of the Potomac and Sherman’s Army. I was struck by a banner that was spread on the capitol dome those two days: “The Only National Debt We Can Never Pay, Is The Debt We Owe To Our Victorious Soldiers.” Indeed. So the boys in blue enjoyed two days of being cheered as heroes and saviors of their country, before they were demobilized and went back to their homes, the War left behind to fading memories and imperishable history. And then to a fitful slumber. Had called to a last reviewing. The sound of a far tatooing. O’erlooked the review that morning. The patriot graves of the nation. They looked as white as their brothers! No gift that was purer or truer. Awakened me from my slumber.